Fluency through Flexibility delves deeper into spatial relationships, one/two more or less, benchmarks of 5 and 10, and part-part-whole looking at how they affect a child's ability to work flexibly with numbers and become computationally fluent. 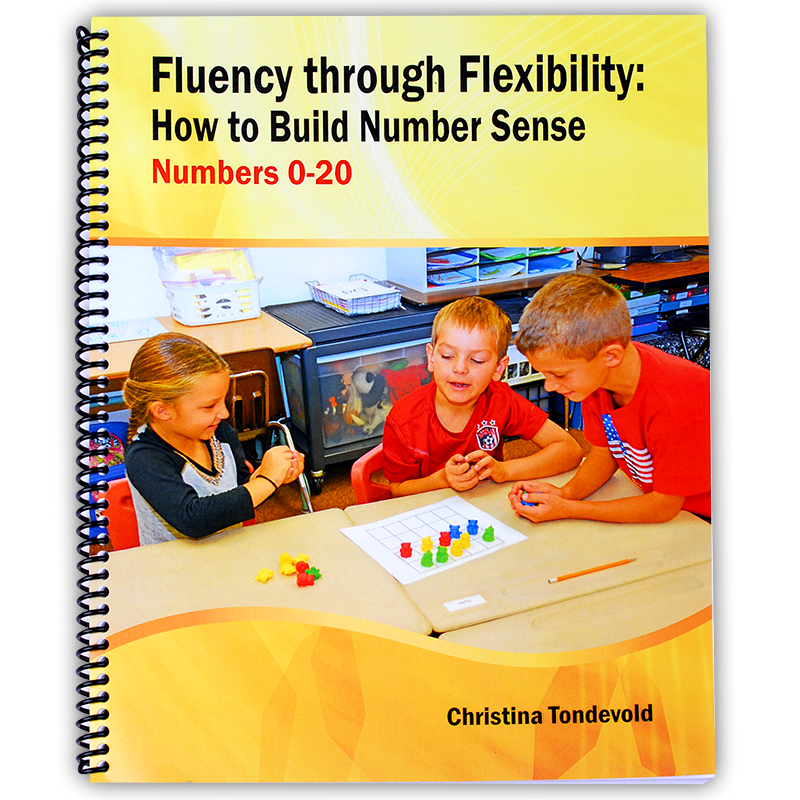 Fluency through Flexibility provides PreK-2nd grade teachers with 15 activities for each of the four relationships to build children's number sense. An assessment for each relationship is included in the book and Blackline Masters are available online for all the print materials needed for each activity.